Launched in collaboration with Melbourne-based innovation hub and start-up accelerator consultancy Collective Campus, the program will seek to identify and nurture new start-ups that can be applied to the acquisition and management of commercial buildings and property funds management through things like smart contracts, artificial intelligence, customer experience apps, the internet of things and blockchain. At the end of a 13-week incubation period, in late June, four start-ups will pitch their solutions to the $19.8 billion owner of offices, industrial, logistics and retail property, and other investors will then have the option to invest in these businesses or purchase them outright. The program is the brainchild of Charter Hall chief technology officer Aidan Coleman and Collective Campus CEO Steve Glaveski. "Every industry is being disrupted by technology and we would be foolish to think our industry is any different. 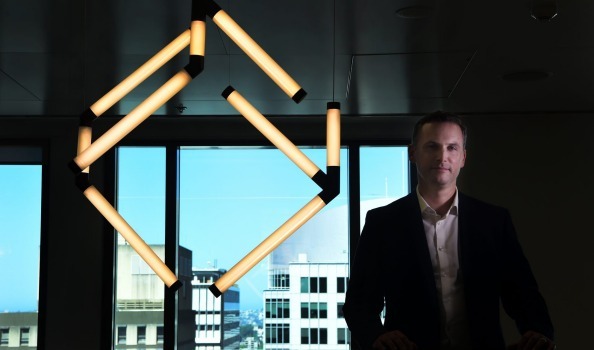 It will have a fundamental, game-changing role in our sector … we want to have a greater understanding of the opportunities and challenges," Mr Coleman told The Australian Financial Review.He pointed to the likes of Purplebricks, Airbnb and WeWork (all of whom have established themselves in Australia) as some of the property-focused start-ups that have revolutionised the way real estate agents, investors, lenders, property owners and managers engage with their customers to deliver an enhanced experience. Globally, property is one of the fastest-growing start-up sectors, with venture capital database CBInsights reporting that $US2.6 billion ($3.3 billion) was raised by proptech start-ups in 2015, up 40 per cent on the previous year. "It's really started to explode in the last two to three years," said Mr Coleman, who had senior IT roles at Stockland and News Corp before joining Charter Hall in 2014. Start-up companies have until January 14 to submit an application. An initial 12 will be selected to attend a boot camp and pitch their ideas, and four will be shortlisted to participate in the 13-week incubator program beginning in mid-February. Here they will receive education and mentoring from both the corporate and start-up sectors. Mr Glaveski said he was thrilled to partner with Charter Hall to help identify and develop start-ups in the sector at a time when the "oft-referred to as archaic real estate industry is on the cusp of significant change". Collective Campus, which started out as a tech co-working space in 2014, has helped incubate more than 50 start-ups that have gone on to raise more than $13 million. In the corporate arena, the start-up accelerator has worked with the likes of Microsoft, Sportsbet, Clifford Chance, BNP Paribas and Telstra. In October, entertainment giant Village Roadshow partnered with Collective Campus to launch a tech accelerator for emerging companies looking to make it big in mixed reality (augmented and virtual reality) entertainment. Augmented reality – a type of walk-through 3D animation without the need for virtual reality goggles – is being used by developer Alfasi to promote space for lease in a new office development at 510 Church Street in Cremorne, Melbourne. Alfasi development manager Laurence Peck said the use of augmented reality not only gave potential tenants the ability to explore the space, but also highlighted the building's high-tech credentials.